A few months ago I received an email from my editor Scott asking if I’d like to attend something called the “Cast and Blast” media event. 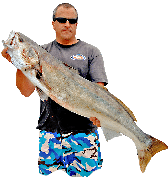 Attached to the email was a flyer promising an exciting three days of fishing in Crystal River Florida followed by an optional day spent traipsing around the wilderness and shooting wild animals with my choice of weapon. The trip sounded fun and I agreed to go, but having read too many Carl Hiaasen novels, I passed on the day of gun play, worrying I’d end up like one of the hapless tourists in his stories; lost, probably injured and generally ill-equipped to deal with the flora and fauna of the Sunshine State. Flights were booked, itineraries emailed, venomous snake identification and alligator avoidance techniques Googled. Before I knew it, I was at LAX boarding the plane for Orlando, excited to spend the week experiencing what the flyer promised to be the “real” Florida. Prior to this trip, my only visit to Florida was a 14 hour business trip I’d made there while working as the print production coordinator for a Spanish language soap opera magazine called “TV y Novelas”. That trip consisted of landing in Miami at 10:00 p.m. getting a hotel room next to the airport, meeting with the client at 9:00 the next morning and then heading immediately back to the airport for a noon flight home. Needless to say, I didn’t have time to experience the “real” anything on that trip. I did however experience a chicken bumping into my leg as it walked past my stool at the Cuban diner I’d visited for a late night snack. While it didn’t seem all that surprising given the neighborhood I was in, it was still a new experience for me so I did my best to relish the moment. 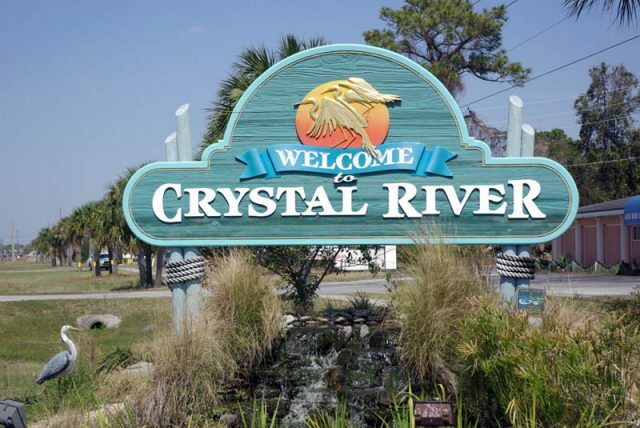 There were surprisingly few non-stop flights between LA and Orlando and the one I picked was crowded, but otherwise uneventful, and I passed the time using the plane’s Wi-Fi to figure out how to get from the airport to the event’s location in Crystal River. I knew I’d need a rental car to make the hour and a half drive, so I checked the prices online but didn’t reserve one as I figured it would be easier to just book one at the airport. I was one of the first off the plane and hurried to the rental car counter. My plan to beat the tourist rush worked because there were only a couple people ahead of me in the Budget Rental Car line and when it was my turn I told the clerk I’d like the mid-sized car they had advertised at $29 per day. After consulting her computer, she said, “okay, that will be $785 for five days.” Confused, I asked how five times $29 could total $785 and she explained that there were limited cars available so the offer wasn’t valid unless I reserved one online. Looking at my pained expression she offered that Enterprise had cars available and pointed in the general direction of the huge mob of tourists already in line and waiting to rent a car. After spending over an hour in line listening to Disney World bound parents try to mollify their screeching offspring, whose temperament didn’t lend itself well to waiting quietly in line at the rental desk when they’d rather be waiting in line at an overpriced theme park. Anyway, I realized too late that I’d have been better off just paying the $785 and be on my way. The drive to Florida’s west coast involved using Florida’s Turnpike as well as some lesser roads that may or may not cost money to traverse, at least that was what the rental agent indicated when suggesting I pay $20 for the use of a transponder that would track my travel and charge applicable tolls to a credit card. 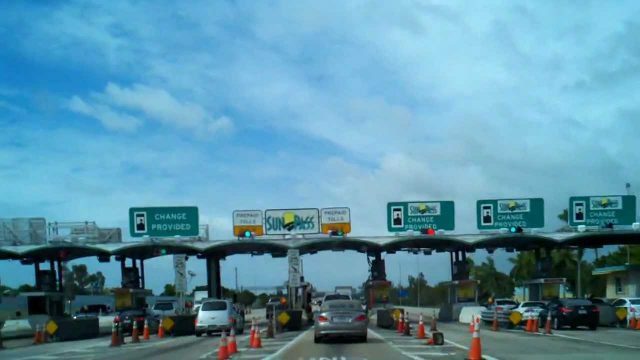 As it turned out the transponder was a great investment because I couldn’t make heads or tails of the myriad of toll plazas with often conflicting signs, “slow down and then stop” followed immediately with “don’t stop” or multiple lanes marked with different pass types, none of which I was sure that I had. I ended up just blasting through the plazas in whatever lane I happened to be occupying trusting my transponder to sort out the costs and penalties. When I later checked my credit card bill, it only cost about $10 to get were i was going as most tolls ended up in the $3-4 range while a couple were as low as 60 cents, which I assume were for the use of some off ramp or one of the lesser roads the rental clerk had warned me about. Much of the drive from Orlando to the coast is on a very straight highway that appears to be cut out of the middle of a forest of what I assumed to be Florida Pines. Though beautiful, the scenery wasn’t really what I’d been expecting. Now that I think of it, I’m not really sure what it was that I was expecting but a lush green forest certainly wasn’t it. 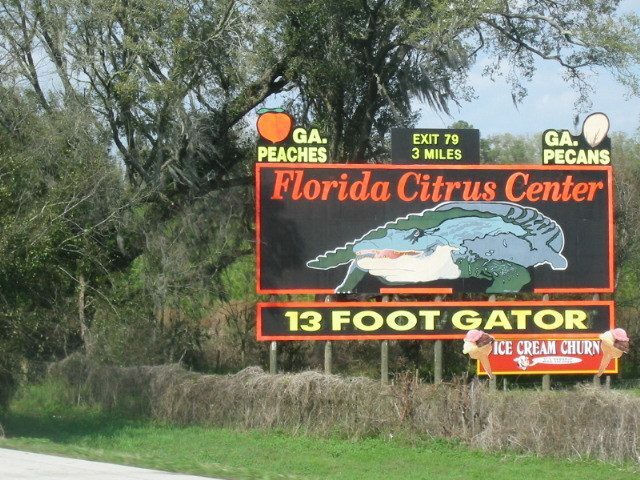 Along the way I passed many billboards offering things like air boat rides and gator tours. I even saw one sign that offered a baby alligator petting zoo as well as an advertisement for BBQ alligator meat, which made me feel a little sad for the gator. I pictured the little fella growing up being pampered and fawned over by tourists only to end up feeding those same tourists once he got too big to safely pet. 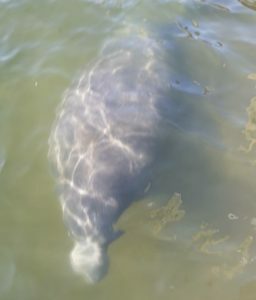 As I approached the coast, the billboards turned their attention to touting manatee tours that offered both on the water and in the water interaction with the “gentle sea cow”. Some showed happy divers or smiling kids waving at their new floating friends from the safety of a pontoon boat. Yet others were strange, showing a glowing halo around the manatee, the advertisement phrased in such a way as to suggest that it might be possible to relate to them on a higher level and maybe tap into the hidden magic of these healing beasts. Or maybe I was just overly tired from traveling all day. Deciding to put my suspicions on the back burner for the time being, I pulled into a liquor store and picked up a bottle of Makers Mark, planning to unwind with a cocktail after the long trip. 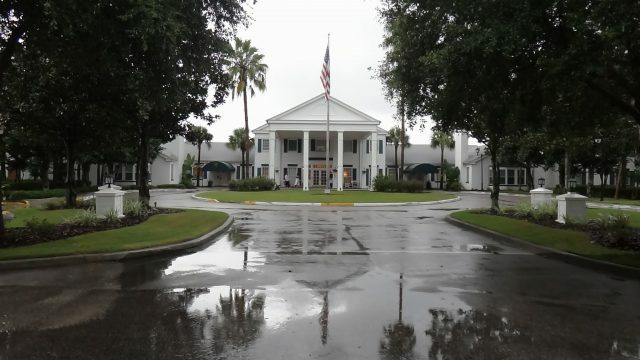 Just past town I arrived at the turnoff for my destination, the Plantation on Crystal River, which ended up being a surprisingly nice water front hotel. Upon checking in, the desk clerk pointed me towards the banquet room where the Cast and Blast’s opening night festivities had already begun. Not quite ready to join in, I dropped my bags in the room and, after an extensive search of the hotel grounds, found the ice machine and fortified myself with a glass of bourbon before heading to the party. I was a couple hours late and things were winding down by the time I made it to the banquet room. Dinner had been served, drinks had been drunk and the attending vendors were already packing their displays for the night. After wandering around aimlessly for a few minutes I spotted Paul Michele from Navionics, who was one of the people running the event, and he directed me as to where I could pick up my goody bags and told me where to meet up with my captain the next morning. Once back in my room I looked through the bags and found them to be full of the latest and greatest products from Savage Gear, Yo-Zuri, Cuda Brand, Maui Jim Sunglasses and Mustad Hooks. With the next day’s target species being goliath grouper, I decided to leave my new tackle in the room and just bring my camera and an open mind.